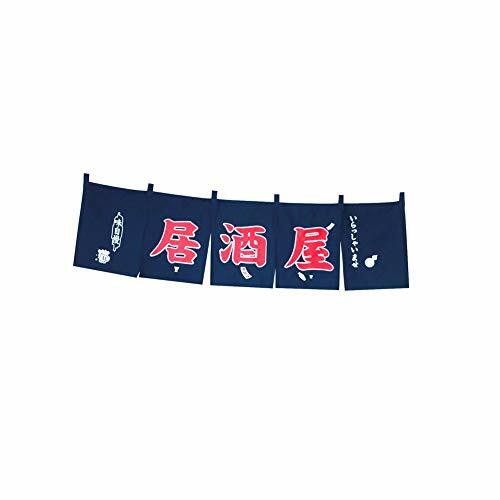 Ships from Hong Kong.The curtain named Noren in Japan,which often hanging at the door of ordinary shops.It is multipurpose,no matter privacy and decorative purpose. Great decor for Home, Office, restaurant, Dinning Area, Windows, Kitchen, Toilet, Bathroom, Bedroom, compound area and etc. Made of high quality cloth fabric,bright and durable. Design with vintage Japanese style,great for those oriental restaurants,sushi bars. Its bright color and striking font will lead your guest correctly.